The 29th June 2012 episode of Friday Night SmackDown! starts with a video recapping the events of the Triple Threat Elimination match and the events of the Divas Beach Battle Royal on Monday Night Raw (click here for our Raw report). AJ takes on Layla (who is sporting new theme music “Insatiable”, which was previously used in the WWE by ex-Diva Tiffany) in a match which sees Layla get the victory, when Daniel Bryan takes a page out of AJ’s book and causes a distraction by making his way out and around the ring while repeatedly chanting “Yes!”, allowing Layla to take advantage of the distraction and roll AJ up in a pinning-combination for the 3-count. Afterwards, AJ attacks Layla until the referee is able to separate them, and she then turns her attention to Daniel Bryan who is standing on the ring apron and whom then enters the ring. Bryan says that it’s not so fun when somebody distracts you during a match, but says that unlike AJ he is not out there because he craves attention. Instead, Bryan says that he is out there as he has something that he needs to discuss, and he stops AJ from leaving by saying that he wants to talk about something with Vickie Guerrero, that he wants AJ to hear, and he then addresses Vickie and says that he will not leave the ring until he gets what he wants. He says that he will hold the show hostage if he has to, and when he gets no response, he says that he has been left with no choice, and starts to chant “Yes!” as the crowd chant “No!” in response. Soon after, AJ starts to chant “Yes!” herself, in apparent defiance of Bryan’s own chant, with the crowd joining in with her. After a video recapping the events involving Degeneration-X and “Iron” Mike Tyson on the 2nd March 1998 episode of Monday Night Raw, to hype the upcoming 1000th episode of Raw, we return to the ring where Daniel Bryan and AJ are apparently having a YES!-off – until an “Excuse Me!” is heard and Vickie Guerrero makes her way out and to the ring. Vickie says that everyone is tired of Daniel Bryan repeating his same old annoying catchphrase, to which Bryan says that he needed to make a point, as he defeated Kane and CM Punk on Raw, and that he needed to show everyone that Raw and SmackDown! will soon revolve around him. He says that he also wanted to applaud Vickie for seeing what he did on Raw and working with the WWE Board Of Directors so quickly to reward him with his justifiable title match, and it is this sort of management style that makes him want to see Vickie run Raw and SmackDown! on a permanent basis. Bryan says that if that is the case, she will be the General Manager, he will be the champion, and they will need to work together hand-in-hand, and assuming that happens, he has an idea that he wants Vickie to take to the Board Of Directors – for his match against CM Punk at Money In The Bank, he wants AJ banned from ringside. He says that AJ is a liability, is unstable, and a menace that he refuses to lose his opportunity because of. Vickie says that she understands and if anything is not a fan of AJ, as she calls AJ a little girl and says that she has not forgotten what she did to her in the Battle Royal. Vickie continues her rant until she is interrupted by Bryan, who says that this is not about her and AJ, but it is instead about him. She apologises and says that he is right, but says that there was a poll this week on WWE.com that was asking the WWE Universe what role they wanted to see AJ play in the WWE Championship match between Daniel Bryan and CM Punk at Money In The Bank. The choices were Guest Timekeeper, Guest Referee, Guest Ring Announcer, and Guest Commentator, and Vickie says that the Board Of Directors listened to the WWE Universe as the results are then revealed – to Vickie’s displeasure, as 76% voted for AJ to be the Special Guest Referee for the match. Vickie says that she has respect for the WWE Board Of Directors and they should all agree that AJ should be the Special Guest Referee, and AJ’s response to this is to restart her chant of “Yes!” with arm movements and the crowd chanting along with her, walking straight up to Vickie while doing so, and continuing it as she then leaves. Daniel Bryan is very unhappy about what has just been revealed, but Vickie says that this is what the WWE Universe and Board Of Directors wanted, so she can’t do anything about it. Bryan then starts to chant “No!” in despair as he then leaves, with Vickie then left in the ring to thank the Board Of Directors on their decision and for approving her decision on this episode. Vickie says that over the next two weeks, SmackDown! will be having a series of qualifying matches for the World Heavyweight Championship Money In The Bank Ladder match, but unlike the WWE Championship version, which is limited to former WWE Champions, this is open to anyone, with the first series of qualifying matches taking place right now. Now, Zack Ryder is pitted against Damien Sandow in the first qualifying match, but before the match takes place, Sandow has something to say as usual. He says that he is here to help not only the WWE Universe, but also his opponent, who he calls the WWE’s official ambassador of ignorance, mediocrity, and stupidity, and who he says is no different than the crowd. He says that when he emerges victorious, he will ensure that the unwashed masses of the WWE Universe will soon have a World Champion who will shepherd them all towards the enlightenment that they so desperately yearn for – and they are welcome. The match sees Sandow get the victory and qualify, when he avoids Ryder’s Rough Ryder attempt and capitalises on Ryder’s miss by hitting him with a neckbreaker for the 3-count. After Charlie Sheen is announced as the official Celebrity Social Media Ambassador for the 1000th episode of Monday Night Raw, an interaction backstage involving Daniel Bryan and Kaitlyn, in which Bryan unsuccessfully attempts to find AJ and Kaitlyn gives Bryan a tip that AJ is a little mentally unstable, a video hypes the SummerSlam Pay-Per-View set to take place on 19th August. Back in the arena, Tyson Kidd goes against Jack Swagger in the second qualifying match, which sees Kidd get the victory and qualify, when Kidd hits Swagger with a diving neckbreaker for the 3-count. After a video hyping Brock Lesnar’s appearance on the upcoming episode of Monday Night Raw to answer Triple H’s challenge for SummerSlam, a video recapping the birth of “Mr. Socko” and also involving “Stone Cold” Steve Austin and Vince McMahon on the 5th October 1998 episode of Raw, to hype the upcoming 1000th episode, a video recaps the events of Raw involving Sheamus, Dolph Ziggler, and Alberto Del Rio that led to the Triple Threat match to take place later on this episode of SmackDown!. After an interaction backstage in which Ziggler demands that Vickie abuse her power and yells until she slaps him, causing him to calm down and ask her to announce him and be out there to raise his hand when he becomes the new World Heavyweight Champion, Santino Marella and Christian take on David Otunga and Cody Rhodes in a tag team match which will see both members of the winning team qualify for the World Heavyweight Championship Money In The Bank Ladder match. The match sees Christian get the victory for his team and them qualify, when Christian hits Otunga with a spear for the 3-count. After Matt Striker interviews Sheamus about his upcoming Triple Threat match for the World Heavyweight Championship later on in this episode, in which he says that he doesn’t spend his time thinking about “what-ifs” and doesn’t worry but simply kicks arse, and a video recapping The Rock’s “This Is Your Life” segment on the 27th September 1999 episode of Raw, to hype the upcoming 1000th episode, an interaction backstage between Daniel Bryan and AJ sees him attempting to get on her good side, and her skipping off chanting “Yes!”. Back in the arena once again, Dan Barone and Brendan Burke are pitted against Ryback in a 2-on-1 Handicap match which sees Ryback get the victory, when he hits Barone and Burke with a double muscle-buster for the 3-count. An interaction backstage involving Aksana, Antonio Cesaro, and Teddy Long, sees Long inform them both that he has no hard feelings towards them and their relationship, that he will be the General Manager of Raw and SmackDown! next week, and also sees him rebuff Aksana’s subsequent advances by telling them that she and Cesaro deserve each other and actually need each other. After a video recapping the events involving John Cena, The Big Show, and Chris Jericho on Monday Night Raw, Tensai goes against Justin Gabriel in another qualifying match, which sees Tensai get the victory and qualify when he hits Gabriel with a jumping back-splash for the 3-count. After a video recapping Triple H’s return on the 7th January 2002 episode of Raw, to hype the upcoming 1000th episode, Sheamus, Alberto Del Rio, and Dolph Ziggler take on each other in a match for the World Heavyweight Championship – before that takes place however, Del Rio has something to say. Del Rio says that even though he is being forced to compete in a Triple Threat match instead of being in a one-on-one match against Sheamus, and even though he is forced to compete in this “filthy” little town which is a place with nothing, at the end of the night he will be the new World Heavyweight Champion. He says that he knows that the crowd don’t know anything about greatness, but he asks if they know why he is going to be victorious tonight. Before he can inform them of why, he is interrupted by Vickie Guerrero maker her way out to the stage, where she apologises to Del Rio by saying that he is not going to win the match. Vickie says that the crowning moment in her week as General Manager is that she gets to introduce the next World Heavyweight Champion, as she then introduces Dolph Ziggler. After a video recapping the events of the 7th September 2009 episode of Raw involving Bob Barker, to hype the upcoming 1000th episode of Raw, the Triple Threat match for the World Heavyweight Championship match finally starts, and it sees Sheamus get the victory and retain his title, when he interrupts Ziggler’s roll-up pin attempt on Del Rio by hitting him with a Brogue Kick, following it up by throwing Del Rio out of the ring and covering Ziggler for the 3-count. Sheamus celebrates in the ring and the announcers inform us that next week’s episode of SmackDown! 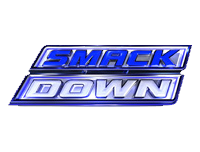 will be a live “Great American Bash” special on Tuesday, as SmackDown! goes off the air.